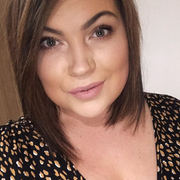 Hello lovelies, today I thought I would share with you my top 5 brow products, I still haven't mastered the most amazing brows or have 'brows that are on fleek', whatever the hell that's supposed to mean anyway... 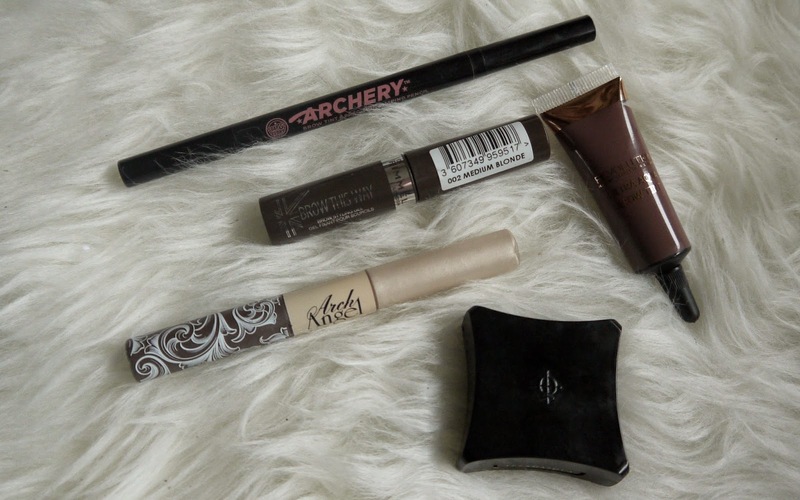 But I have been experimenting and think I am slowly getting better and these products have helped me, whether they are 2 minute wonders for quick and on the go or to get the most precise brow going and for all budgets. Maybe theres some products in here that you will love too. Illamasqua Brow Cake in Thunder - This has to be by far my favourite brow product from the bunch, its a good bunch but nothing could top this! When the lady at Illamasqua transformed my brows just using this product I knew I had to buy it there and then, I haven't looked back since. 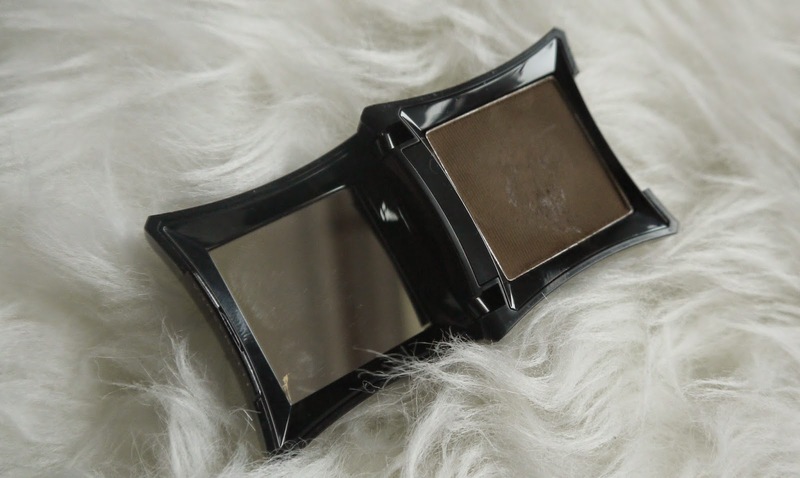 It is well worth the money, comes with a handy little mirror if you're getting ready on the go or for touch ups (not that you will ever need to touch up with this) and it just makes your brows look amazing! I use this with an angled brush to get a really precise sharp look to my brows then fill them in delicately near the front and more opaque near the ends for a more defined brow, if I lost all my make up I would be sure to have this in my collection pronto, I don't know what I would do without it now. 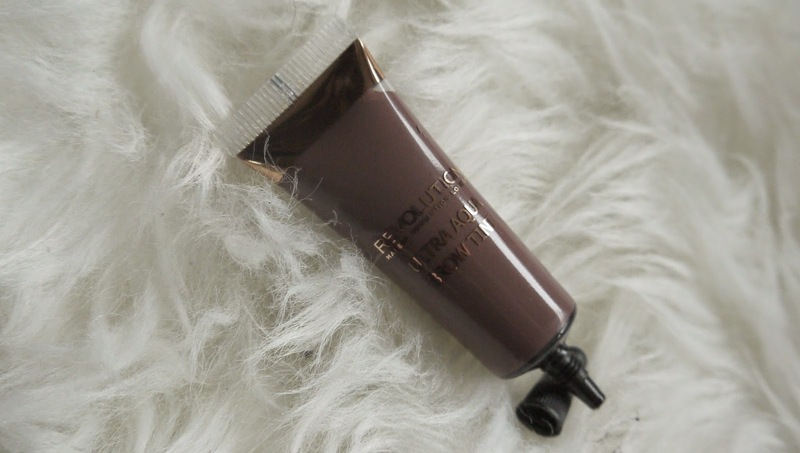 Make Up Revolution Ultra Aqua Brow Tint in Dark Brown* - Super affordable Make Up revolution have a great product for brows, simple packaging yet sleek and great size to fit in your make up bag. Although it looks quite scarily dark you can have this as sheer as you like or build it up to a darker shade, it just depends on the brow look your after. It goes on quite wet but dries quickly and sets perfectly where it needs to be, I tend to use this product when I have more time on my hands. I squirt a little bit of this on my hand then use my arched eye brow brush to apply, this looks very natural on and just gives you your eye brows a new lease of life, can you remember what we looked like without brow make-up?! Mememe Arch Angel in Medium Brown* - I love this brow product when I am in a rush, I just quickly comb through my brows for a natural look just to give them a bit of colour as it looks like I have none with no product. I also love how this handy duo comes with a highlighter so you can really emphasise your brows to be as dramatic as you like or natural. I also love their packaging, how cute are the little swirls, this is a perfect product for on the go or for you lot out there who just don't have time to faff with your brows and brow newbies! 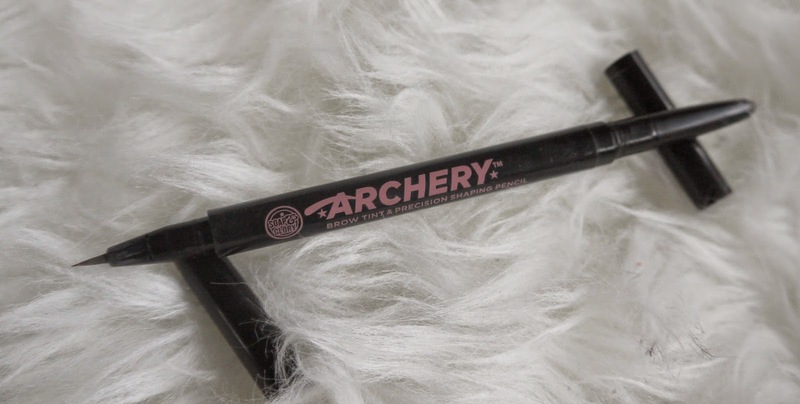 Soap And Glory Archery Brow tint and precision shaping pencil in Brownie points - Another one of my favourites, I was late to the party with this product but after many good reviews I knew I had to have it, I'm so glad I did finally get it, it has everything you need! A pencil to get your brows in tip top shape then a felt tip end to fill them in for a more natural look. I am not a massive fan of pencil brows so I like that I can pencil on the end of my brow to give it a more defined look yet make them still look natural with the felt tip end. You really can create the perfect arch with this product, it is affordable and a handy product to have in your make up bag especially if you forgot your eye brow brush. 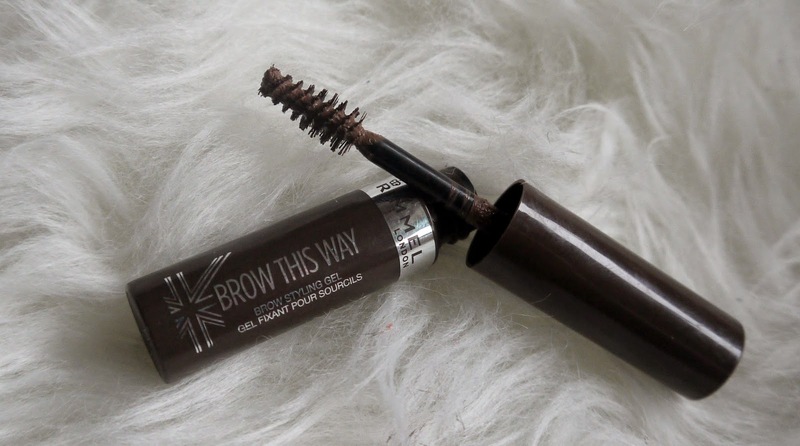 Rimmel Brow this way in Medium Blonde - Again like the Mememe eye brow wand this is amazing for those quick mornings where you haven't got time to brush your hair let alone your brows! So a quick brush through with this it brings my brows to life and strangely medium blonde is the perfect shade for my brows although I like to make them quite dark. These really are perfect if your new to brows and don't even know what to do, you just brush this through your natural hairs to create the look your after, the only thing with these wand brow products I wouldn't say there the best if you haven't got much brow to work with, you know who I'm talking about over pluckers! But perfect if your have a natural bushy brow like Cara or just standard brows like myself.